Connecticut winters are nothing to take lightly. The snow and ice from blizzards and Nor’easters can create serious problems for homes and offices alike. When heavy snow and ice pile up on a roof or in your gutters, it is imperative that you remove it as quickly as possible. Leaving snow and ice on the roof of a home or office building will lead to excessive weight and this can cause sections to buckle and eventually collapse. Ice in gutters can lead to ice dams. When water builds up behind the blockage of ice it is referred to as an ice dam or ice jam, and this can have terrible consequences for your home or office. The heat in your building will start to melt the snow but if there is an ice dam blocking the drainage the water will have nowhere to go. The blocked water will begin to leak through the roof and will result in damage to ceilings, walls, the roof structure and even insulation. Snow and ice are not to be ignored. The longer you wait to remove snow and ice from the roof of your home or office the harder it will get. At Andy’s Roofing, we have a trained and experienced team of snow removal experts ready to dispatch to your home or commercial building of dangerous snow and ice conditions. 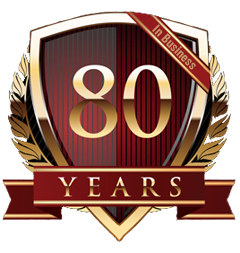 We operate throughout upper Fairfield County and Litchfield County providing homeowners and commercial building owners with the services they need to stay safe. ROOF SNOW SHOVELING: We’ll remove all snow from your roof to prevent any water build up or ice dams from forming. Snow shoveling will reduce the load and weight off your roof. 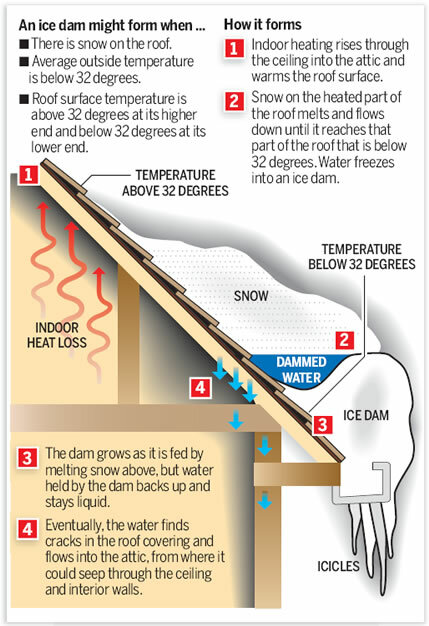 ICE DAM REMOVAL: Ice dams form at the edge of a roof, which prevents melting snow from draining properly. If an ice dam forms, it can leak causing damage to walls, floors, ceilings, etc.